C�neyt Arkin must take on a gang in Istanbul that deals in arms smuggling in this rare Turkish crime drama. 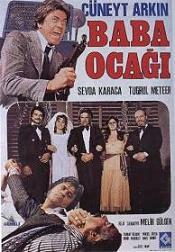 Also stars Savva Karaca and Turgut Ozatay. Also with Yadigar Ejder. (In Turkish language). NOTE: This film comes from a rare Turkish import print in very nice picture quality, unlike other versions currently being offered elsewhere, which suffer from extreme color bleeding and very grainy picture quality.